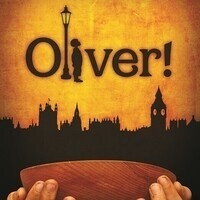 Consider yourself at home with Lionel Bart's classic musical based on Charles Dickens' novel, Oliver Twist. The Tony Award-winning show is one of the few musicals to win an Academy Award for Best Picture. The streets of Victorian England come to life as Oliver, an orphan in a workhouse, becomes the neglected apprentice of an undertaker. Oliver escapes to London and finds acceptance amongst a group of petty thieves and pickpockets led by the elderly Fagin. This tells the story of love and family. Recommended for all theater goers.